When you feel dizzy, weak, shaky and are afraid you might be dying or going crazy, sometimes it’s a relief to find out that it’s a panic attack. When panic attacks happen more than once and you start to feel out of control and have persistent worry about having more attacks, it’s good to develop a plan. In the moment, there are a few things you can try to interrupt the process, but the best thing to stop panic attacks is to attack them back with a proven approach to reduce anxiety. You are not going to die from a panic attack, but that’s not much consolation when it feels like you are. 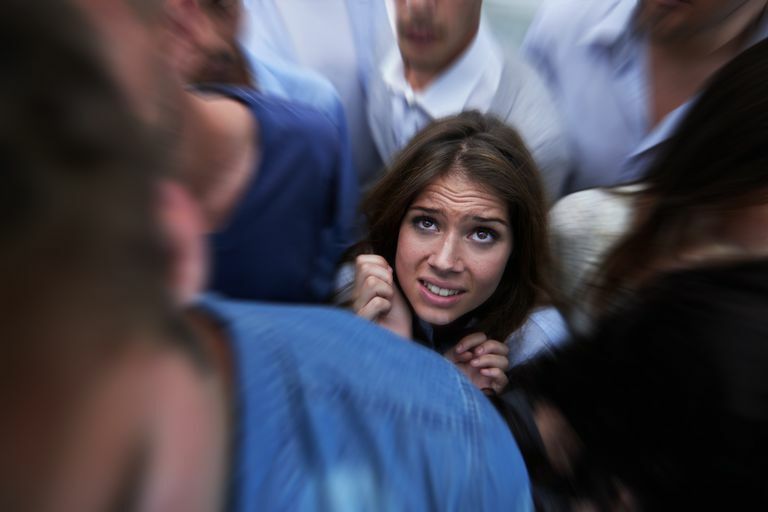 If you’ve seen a doctor who has confirmed that there’s no physical explanation for your symptoms and you’re both convinced that anxiety is what you’re facing, then here are some great resources to make your plan on how to stop a panic attack. In the moment, relaxation strategies and breathing can sometimes help. Mindfulness techniques such as breathing and meditation are not only helpful for anxiety, but for many health conditions. You can start your learning here with some short, free exercises. A good cognitive-behavioral therapist can help you get these symptoms under control and get your life back. In cognitive behavioral therapy (CBT) for panic attacks, most therapists will help you just sit with the uncomfortable feelings that come along with panic attacks until they just go away on their own. Believe it or not, it only takes a few minutes each time. Think about how long your panic attacks have lasted; usually less than 15 minutes, right? The main goals for getting over panic problems are to reduce your fear of panic attacks happening and increase your confidence that your brain and body can handle these weird symptoms and they’ll go away if you let them. Not ready to see a therapist, but want to get started dealing with this problem right now? So many online resources are just click-bait, trying to get ads in front of your eyeballs, and it’s hard to know what to trust online. However, there are some reliable places and even some that are supported by science. A research study looking at the effectiveness of a free online treatment for panic attacks and anxiety found that lots of people quit before finishing the program, but for those who keep at it, the online program can be very helpful. Here’s the link to The Panic Center’s free online tests and treatment program (http://www.paniccentre.net/) and here’s the research information to see for yourself (Farvolden, P., Denisoff, E., Selby, P., Bagby, R. M., & Rudy, L. (2005). Usage and Longitudinal Effectiveness of a Web-Based Self-Help Cognitive Behavioral Therapy Program for Panic Disorder. Journal of Medical Internet Research, 7(1), e7. http://doi.org/10.2196/jmir.7.1.e7).